Laser Research CO2 Laser Optics include lenses and mirrors that meet OEM and ISO-10111 specifications and are optimized for use at 10.6 microns. 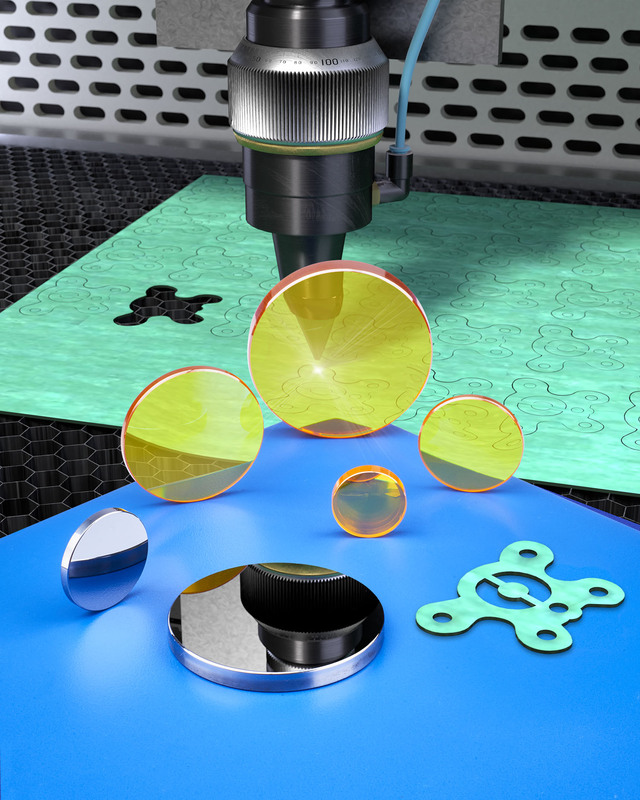 These field-replacement optics are designed for use with popular lasers to produce clean cuts on abrasive composite materials and phenolics which are difficult to manufacture by stamping and other fabricating techniques. Offered in 0.5” to 1.0” O.D. sizes with 1.0” to 7.5” focal lengths, Laser Research CO2 Laser Lenses are available with dual-band anti-reflective coatings to aid in system alignment. Mirrors are 0.5” to 10 mm thick and are made from silicon. They are direct field-replacements for Amada®, Coherent®, Cincinnati®, Epilog®, Mazak®, Synrad®, and Universal® lasers. Laser Research CO2 Laser Optics are priced according to configuration and quantity. Delivery is from stock within 24-hours from receipt of order.